News TV Channel / The Nigerian Television Authority - also known as NTA is a Nigerian government-owned and partly commercial broadcaster that was inaugurated in 1977, at inauguration it had monopoly on television broadcasting in the country. 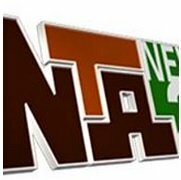 The NTA runs the biggest television network in Nigeria with stations in several parts of Nigeria. Formerly known as Nigerian Television (NTV), the network began with a takeover of regional television stations in 1976 by the then Nigerian military authorities, and is widely viewed as the authentic voice of the Nigerian government. NTA's monopoly was broken in the 1990s.